A tropical island that offers gorgeous beaches and spectacular underwater marine life, Pulau Redang is one of the most visited islands in Malaysia. With the abundance of locals and international tourists visiting the island on day to day basis, the transportation to Redang has to be top notch. 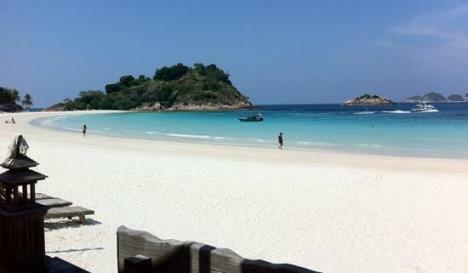 Depending on the type of transportation that you are looking for, you should not worry about how to go to Redang. The easiest and fastest way to reach Redang is by air via Kuala Terengganu Airport, the travel time from Kuala Lumpur requires about 55 minutes whereby flying from Johor Bahru requires about 80 minutes in the air. If you are from other cities in Malaysia, you may want to take a domestic flight to Subang airport, KLIA or KLIA2 follow by a connecting flight to Kuala Terengganu Airport (TGG). A 30 minutes taxi or coach transfer will lead you to the Merang jetty or Kuala Terengganu Shahbandar jetty. For visitors who prefer to visit Redang by sea, there are 2 jetties (Merang Jetty or Shahbandar Jetty) operating scheduled ferry transfers to Pulau Redang. Take note that the transfer frequency and timing is fixed, it is better to check with the ferry operator to get the latest transfer schedule before deciding whether to take this service or not. Depending on your arrangement with the resort, some resorts in Redang are operating private ferry transfer as part of the package, with additional charges, this may be a good option for more personalized service. If you are traveling in big group, there are several private boat charter operators at the jetty that provide transfer to Redang. Such service is perfect for visitors who are visiting the island on irregular hour. As this is quite a popular transfer mode and it can be fully booked during peak holiday seasons or long weekend, it is better to book and reserve the boat in advanced to avoid disappointment. If you are flying with domestic airline to Kuala Terengganu Airport, you can either take a coach, taxi or private van from the airport. It takes about 30 minutes to reach either jetty from the airport, sufficient time allowance should be planned if you are taking the scheduled ferry transfer service. There are also numerous coach transfer services available from the major cities in Malaysia or Singapore. As a general guide, coach transfer from Kuala Lumpur would require about 7 hours and transfer from Singapore requires about 10 hours.